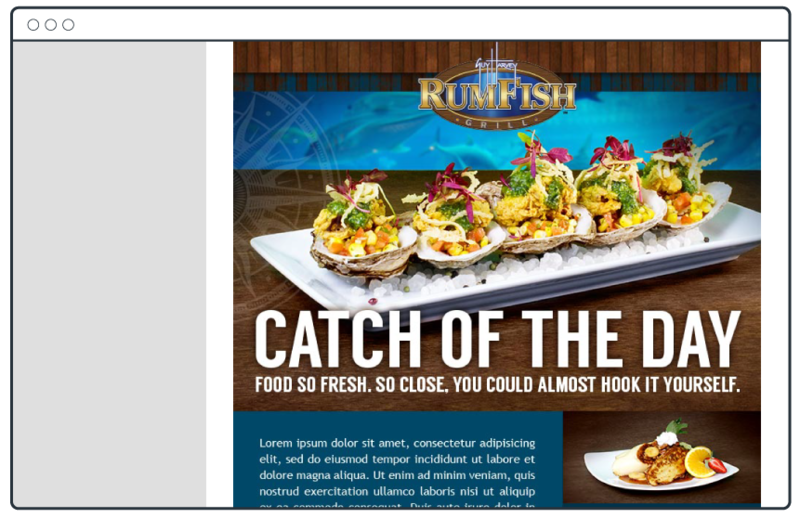 RumFish Grill opened to a lot of excitement and was featured on the nationally televised show, Tanked. 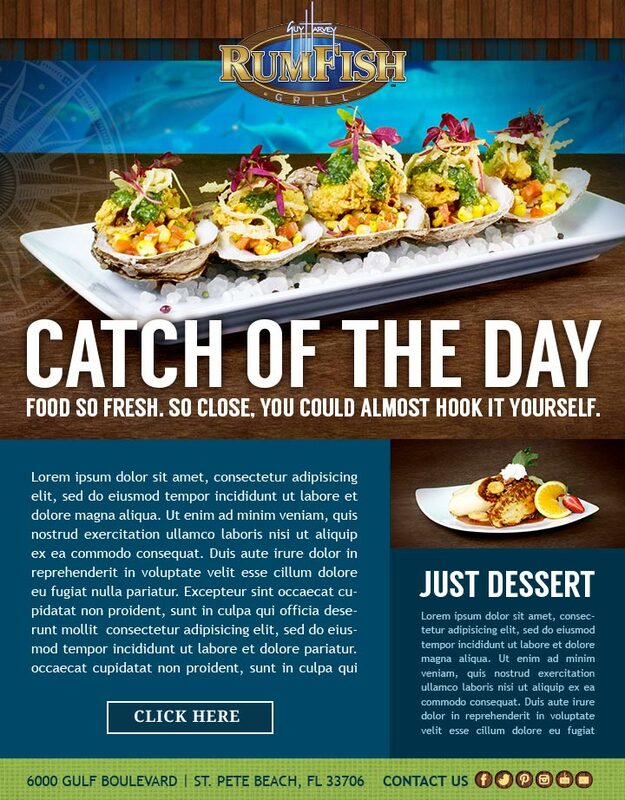 However, knowing that the initial excitement would not last forever, Grafx Design was hired in advance of the restaurant’s opening to design and program the company’s email template. 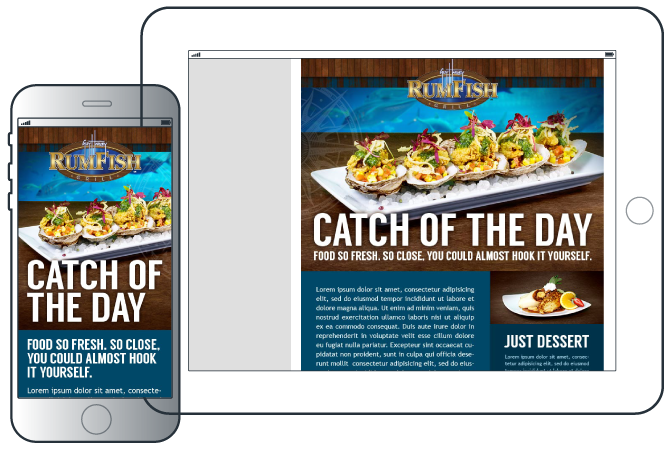 RumFish has been able to use the modular design of the template to create an ongoing and successful relationship with its customers.